Despite the family's financial problems, in 1802 they acquired three lots of land on the Courentyne Coast of Berbice, as the colony expanded to the east. These were held under the name of 'Kort & Company'. ‘W Cort, planter’, ‘F Cort’ and ‘H Cort’ are all listed in 1805 in van Battenburg’s Short History of Berbice. 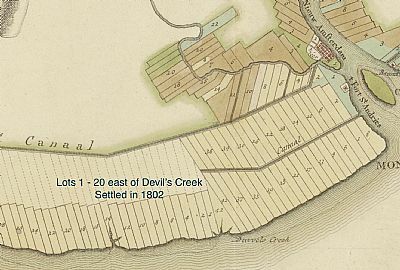 The Corts' plantation, which was named Hampshire & Williamsburg, lay to the east of Devil's Creek, which had earlier formed the boundary with Surinam. It occupied lots 7, 8 and 9. Frederick Cort (d1835) managed plantation Success in Demerara for the absentee owner, Sir John Gladstone, until 1828 when he was dismissed for being ‘an idler and a deceiver’ who had mismanaged one estate after another. He was also callous in his treatment of slaves, providing only a contaminated source of water for drinking and cooking, which resulted in many deaths from dysentery. [Sheridan, Richard B. (2002). ‘The Condition of slaves on the sugar plantations of Sir John Gladstone in the colony of Demerara 1812 to 1849’, New West Indian Guide 76 (3/4): 243–69.] In about 1831 Frederick Cort returned to Liverpool, where he established a merchant firm with his brother-in-law, John Wilson, who had married Cort’s sister, Charlotte. In the will Frederick disposed of property in Georgetown, Demerara, in favour of Betsy Cort and Louisa Cort, the latter the mother of his two natural sons William (aged c. 7) and Frederick Cort (aged c. 5). He also provided for a third natural child, Eliza Ann, born in Liverpool (29/05/1833), whose mother Ann Whittaker had been Frederick Cort's servant at Everton between 1832 and 1833. His son William became a wine merchant and Frederick was apprenticed to an apothecary in Wales. Frederick succesfully claimed compensation for the emancipation of twelve slaves. William Cort (1771–1853) was in Berbice from before 1805 and died in the colony on 2 September 1853, aged 81 [The Times (London, England), Wednesday, Oct 05, 1853]. By 1817 he was the owner of plantations Hampshire and Williamsburg on the Courentyne coast, with 266 slaves [Slave Registers]. William Cort, like his brother Frederick, was also callous in his treatment of slaves. In 1827, when one of his slaves, Catherine, complained that she needed some time to look after her sick infant, Cort said that ‘he did not thank her for making children . . . she had no business leaving her work to nurse her child . . . she ought to have waited until evening’. [J H Lean, ‘The secret lives of slaves: Berbice, 1817 to 1827’, doctoral thesis, University of Canterbury, 2002, p164]. With his wife or partner, Mary Ann, he had a number of children in Berbice. William made a claim for the emancipation of 288 slaves on plantation Hampshire but was unsuccesful having mortgaged the property. His daughter Charlotte Anne Cort (1811-63) married a Thomas Gray, who bought plantation Burnside in Surinam in 1840. Charlotte inherited this on his death in 1856 and in 1860 bought the neighbouring plantation Hope, with its 85 slaves. The British consul in Surinam raised his concerns over this purchase of slaves by a British citizen, resident in London, with his superiors. 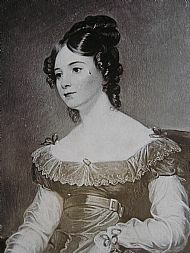 Charlotte died in Barbados in 1863, having married an Anthony Howard. 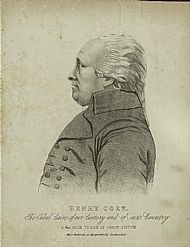 Henry Cort (1768–1806) is said to have gone first to India. He then went to Berbice, where he died on 29 December 1805 [Morning Chronicle (London), 14 April 1806]. [See also The Heyshams of Southeastern England]. For Charlotte Cort, see John Wilson.